PI Cheryl Hodgkinson-Williams and three members of the ROER4D team, Michael Glover (Sub-Project 10.3 Researcher), Henry Trotter, (SP4 Researcher) and Glenda Cox (SP4 Lead Researcher) had the privilege of being invited to participate in a seminar on Activity Theory by Prof Yrjö Engeström and Dr Annalisa Sannino from the Centre for Research on Activity, Development and Learning (CRADLE) at the University of Helsinki, Finland. 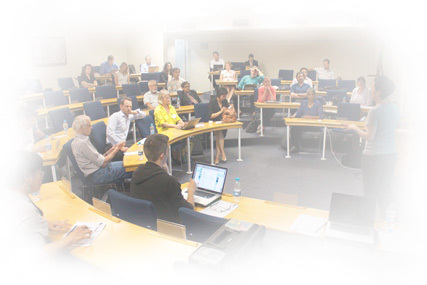 The seminar, which was jointly hosted by the School of Education at the University of Cape Town (UCT) and the Fundani Centre for Higher Education and the Work-Integrated Learning Research Unit at the Cape Peninsula University of Technology (CPUT) on the 31 July 2015, was quite an auspicious event as it marked the first visit of Prof Engeström and Dr Sanino to South Africa. The ROER4D team was particularly excited to be part of this event as a number of the ROER4D Sub-Projects are using Activity Theory as a framework to better understand the adoption and impact of OER on teacher practices, contribution or non-contribution of OER to the public as well as the adoption and use of OER in the Higher Education sector. Prof Sanjaya Mishra and Dr Ramesh Sharma (ROER4D SP3) from the Commonwealth of Learning are using Activity Theory to better understand teachers’ attitudes, motivations and conceptions of quality as well as the barriers to OER adoption in India. Glenda Cox and Henry Trotter (SP4) from the University of Cape Town are using Activity Theory to understand social and cultural acceptability of OER in South Africa. Batbold Zagdragchaa (SP8) from the ONE Mongolia Project in Ulaanbaatar and mentor Dr David Porter are exploring the cultural-historical factors that influence OER adoption and use in Mongolia’s higher education sector. Prof Laura Czerniewicz, Michael Glover, Sukaina Walji, Janet Small, Andrew Deacon and Dr Cheryl Brown (SP10.3) are also using Activity Theory in their analysis of the impact on educators’ practices in African-developed Higher Education courses using OER in and as massive open online courses (MOOCs). It was also wonderful that Glenda Cox and colleague from the University of Cape Town, Tabisa Mayisela, were able to attend the Engeström and Sannino seminar as both are using Activity Theory to a greater or lesser extent in their PhDs. 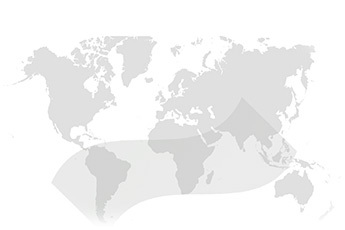 They and Cheryl Hodgkinson-Williams are members of the Global OER Graduate Network. It is impossible to cover all the issues raised by Prof Yrjö Engeström and Dr Annalisa Sannino, but a few highlights will hopefully give a flavour of the ways in which Activity Theory can be usefully employed to help us understand the adoption of OER. At a macro-level it would seem that the four dominant aspects of human activity he highlights, namely production, distribution, exchange and consumption (See Engeström 1987 for a fuller discussion) can be useful approaches in describing the differing ways in which educational resources are produced; ways in which they are shared openly as open educational resources (or not) (distributed); the forms of social interaction (exchange) around these OER; and the ways in which OER are reused, revised, remixed, redistributed and retained (consumed). Perhaps more important is to uncover the ways in which the ‘openness’ of these activities can disrupt the usual flow from production>distribution>exchange>consumption. These four dominant aspects of human activity play out in an ‘activity system’ which includes the subject engaged in the activity of producing the OER; the tools used to create and/or reuse OER; the object of sharing learning and teaching materials openly; the rules (such as Creative Commons and open platforms/repositories) that enable the sharing as well as the conventions (such as departmental processes or publishing protocols) that may inhibit sharing materials; the heterogeneous community of OER advocates, educators, students, policy makers and the publishing corporations that may wholeheartedly support or actively dissuade OER development, dissemination and re-development; and finally the division of labour in creating OER that may disrupt the traditional hierarchies of knowledge production by allowing for educators and even students to produce and share their own materials. But perhaps the most important insight was how the ROER4D project as a whole can be analysed as an process of expansive learning, which is a “type of learning which emerges as practitioners struggle through developmental transformations in their activity systems” (Engeström 1987). As Engeström said in the seminar in relation to how expansive learning might unfold: “Learning what is not yet there – collaborative creation of new objects and patterns of activities”. While some researchers of OER have used Activity Theory to analyse the adoption of OER (Dimitriadis, McAndrew, Conole & Makriyannis 2009; Godwin, McAndrew & Santos 2008; McAndrew 2011) further exploration of using this framework to better understand OER adoption and impact is still needed. Prof Engeström expressed sincere interest in the way the ROER4D projects are planning to use Activity Theory. We look forward to his insights! McAndrew, P. (2011). Inspiring creativity in organisations, teachers and learners through Open Educational Resources. European Journal of Open, Distance and E-Learning (EURODL). 1-9.